We’re extremely proud of our high job placement rate. Our graduates are ready to work right away. 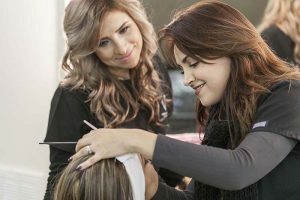 – Our full service Student Salon and Spa gives you hands-on learning opportunities, so you can approach your new career with confidence and experience. We are one of the only schools in Texas to offer classes in both English and Spanish. Not just Spanish-speaking instructors, but actual classes in Spanish.